Our essential oil use chart is a helpful tool when beginning to use therapeutic essential oils in order to understand essential oil products and their uses for different situations and conditions. This aromatherapy fragrance guide to therapeutic essential oils gives details of the conditions for which they can be used and how to blend them properly. Essential oils use can be damaging if not carried out correctly, so consult a qualified professional if you are in doubt. Basil is an uplifting oil which is good for those suffering from depression and can help to relieve pain when massaged into affected areas. It is also beneficial for colds and is useful when suffering from fatigue. Cinnamon is a natural antibacterial and antifungal oil. The oil can cause a reaction on sensitive skin so should always be diluted and blended carefully. It is useful on infections of the skin and nails. Grapefruit is a refreshing oil with astringent properties. It has a positive effect on digestion and can help to relieve water retention. The citrus aroma can lift the mood and is useful for depression sufferers. 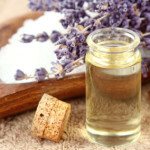 Aromatherapy lavender is one of the most versatile essential oils available. It is one of the few that can be used undiluted on the skin and it can be used on any number of conditions, including burns, spots and cuts. Lavender is also very relaxing, and a few drops on a pillow can help to induce a good night’s sleep. Lemongrass is a very refreshing oil which has an uplifting effect on the mood so is useful in combating the symptoms of depression. It can be beneficial when suffering from fatigue and is a natural antiseptic, so can be used on a number of skin disorders such as spots and fungal infections. This is a strong oil with natural antiseptic properties and is used to treat wounds and bites. It is also beneficial for colds, coughs, and bronchial conditions. It can be used to treat fungal infections such as athlete’s foot. Myrrh is a natural astringent and expectorant, making it useful when suffering from a cold or disorder of the respiratory system such as bronchitis. The aroma has an rejuvenating effect, which can lift the mood, and the oil also has an analgesic effect. Neroli is a very relaxing oil which has excellent antidepressant qualities. It has a range of benefits which include treating the symptoms of irritable bowel syndrome, headaches, and insomnia. It can also help to prevent a build-up of gas in the bowels. It can ward off panic attacks and help to bring the symptoms of stress under control. Peppermint is a natural remedy for digestive disorders, helping to ease the symptoms of irritable bowel syndrome, heartburn, and preventing the build-up of gas in the digestive tract. It is also beneficial for headaches when diluted and massaged into the forehead and temples. Rosemary is considered to be of great benefit for mental clarity and is often used to aid concentration. It is a powerful oil that can be used to massage into areas affected with rheumatism and arthritis to ease the symptoms. Rose is a very relaxing oil that is often found in skin preparations for its calming effects. It has healing properties that make it beneficial for broken veins and dry skin. It is also very soothing for sensitive skin. This is a warming oil which has a relaxing effect. It has sedative properties and is considered to be an aphrodisiac. It can also be used to treat stress, boost the immune system, and ease skin conditions such as eczema. We hope that our reference guide for essential oils excited your senses to the possibilities of essential oils use.